Roughly 37 million Americans move each year, whether it’s a local move or the result of a relocation, everyone moves at some point. Furthermore, the number one state with the highest moving rate in or out is, you guessed it, New Jersey! With so many individuals and families moving all the time, finding the best moving company for your needs is so important. Here are a few things to consider before hiring a company. 1. Do your due diligence: Check the moving company’s history and read the customer testimonials. Every state government maintains a database of moving company complaints. Make sure that the mover is also “ProMover” certified, meaning that they have a vetted dispute process in place, you can check that here: https://www.protectyourmove.gov. This site allows you to make sure they have the necessary licensing as well. 2. Get a written estimate: This way you can guarantee the price you first discussed. Especially if moving from state-to-state, you should request a “binding estimate,” which is the absolute maximum you will pay for a company’s moving services. 3. Purchase the optional insurance: Your property is not insured unless you buy the moving company’s insurance by law. This is a great way to cover the replacement value should items go missing or get destroyed. 4. Plan in advance: This will help you come to an agreement with your movers and have the necessary time to prepare for and book a moving date(s). Overall, moving can be a difficult, time consuming process. By ensuring that your mover is reputable, it will make your moving experience much smoother. 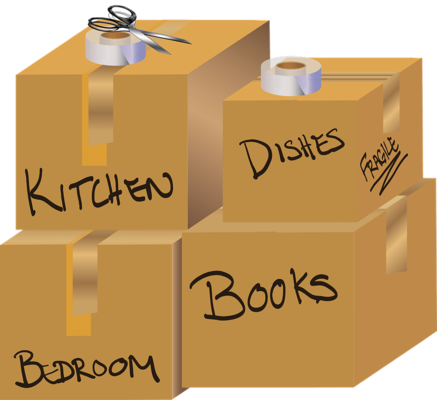 For other moving tips and specific packing instructions visit: All Jersey Moving Tips.